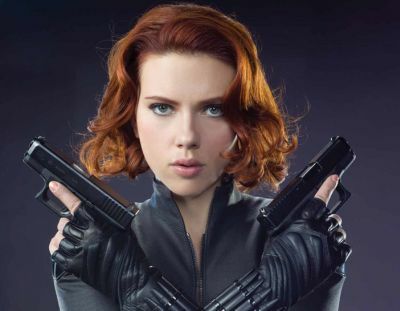 Black Widow herself, Scarlett Johansson, was the host of “Saturday Night Live” this weekend, and it just wouldn’t be SNL if an Avenger was the host and no Marvel jokes were made. As a parody of Marvel Studios’ inability to get a female-led superhero movie off the ground so far, they brought us a fake trailer for Black Widow: Age of Me, which sees the international assassin juggling an internship at Fashion Weekly magazine and a complicated relationship with boyfriend Ultron. Check it out below. Johansson has already appeared as Natasha Romanov in four Marvel Studios films and is gearing up for her fifth appearance in next year’s Captain America: Civil War. She can be seen in the role in Avengers: Age of Ultron, playing in theaters and smashing box office records now. Written and directed by Joss Whedon, the film also stars Robert Downey Jr., Chris Hemsworth, Mark Ruffalo, Chris Evans, Jeremy Renner, Samuel L. Jackson, Aaron Taylor-Johnson, Elizabeth Olsen, James Spader, Cobie Smulders, Thomas Kretschmann, Paul Bettany and Stellan Skarsgard. Marvel Studios currently has only one female-led feature on their schedule, Captain Marvel, which is set for release November 2, 2018 and will feature a script by Guardians of the Galaxy’s Nicole Perlman and Inside Out‘s Meg LeFauve.